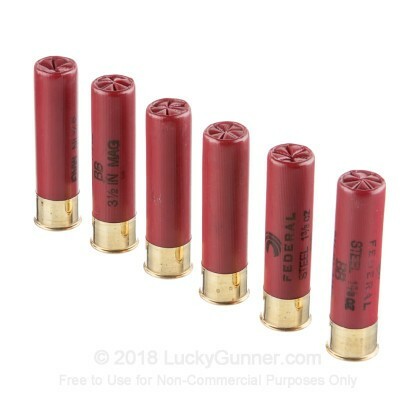 When you are looking for something with incredible close range power, the 12 gauge shotgun is exactly the firearm you need. This nearly one and a half century old firearm has been used in the military, law enforcement, and by civilians all over the world, making it one of the most popular and most proven firearms on the planet. 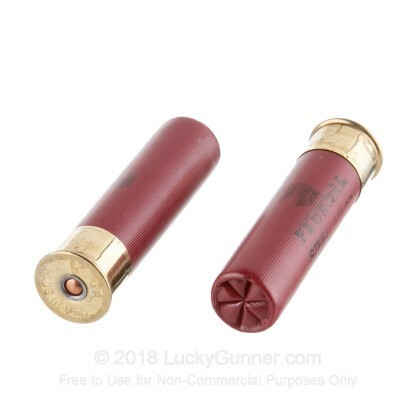 Whether you need to hunt, defend your home, blast targets, or all of the above, the 12 gauge has everything you need. When you choose Federal ammunition, you know you can trust it. 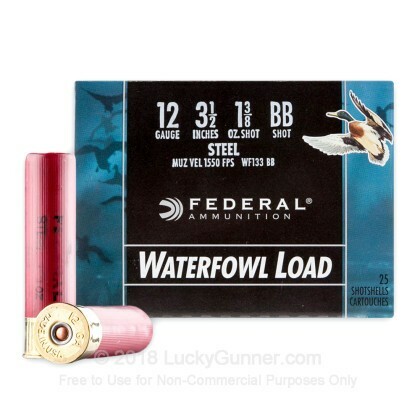 Since 1922, Federal has been producing reliable and consistent products that shooters and hunters use and trust. 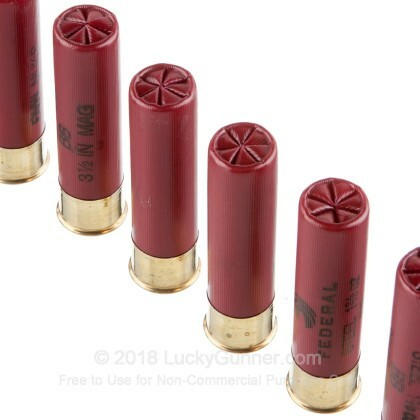 All of their ammunition is loaded using quality components in the USA. Each hull measures 3" in length and carries a 1-1/8 ounce payload of #BB steel shot. 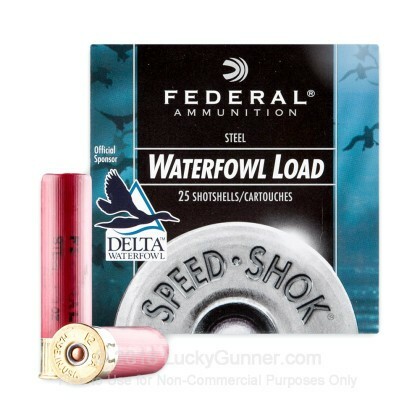 You can expect to see muzzle velocities around 1,550 feet per second. 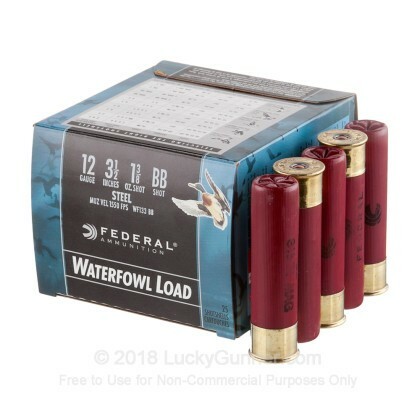 These shells are great for pursuing large ducks and geese, giving you the tight patterns and reliable performance needed for a successful hunt.